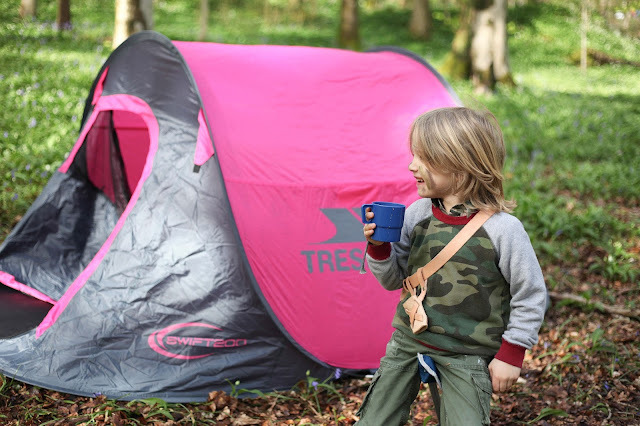 We love camping and have done a lot of it over the years, we have camped from early spring through summer into autumn and each season requires different things and as long as you are prepared there isn't any reason why you cannot go camping in the autumn as a family. 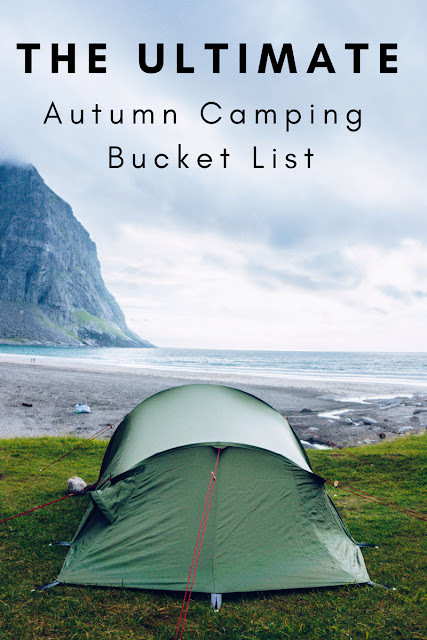 If you’re looking for a way to travel that allows you to disconnect from the fast pace of modern day life and spend time in nature, connecting with your family, whilst the weather’s still reasonably temperate, then now is the time to do it before winter really sets in. 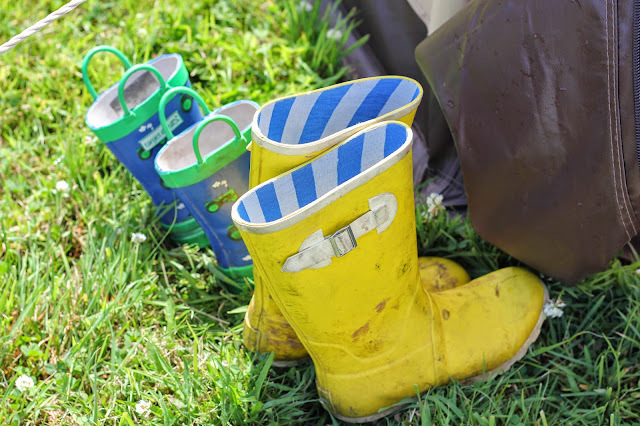 Not only does camping provide a cheap family holiday, but it’s also environmentally friendly and easy to organise as a family… indeed, it’s as simple as packing a few things in the boot and heading off into nature! Many people are noticing that life has become much more distracting in recent years, especially when it comes to family time and connecting with each other - due to smartphones, tablets, computers and video games it’s necessary to carve out some time to stop, unwind, and connect with each other as well as ourselves. Camping in nature wether in a campsite or wild camping, will allow you to connect with your family by doing things that also connect you to nature such as building campfires, skimming stones, and having barbecues on the beach! 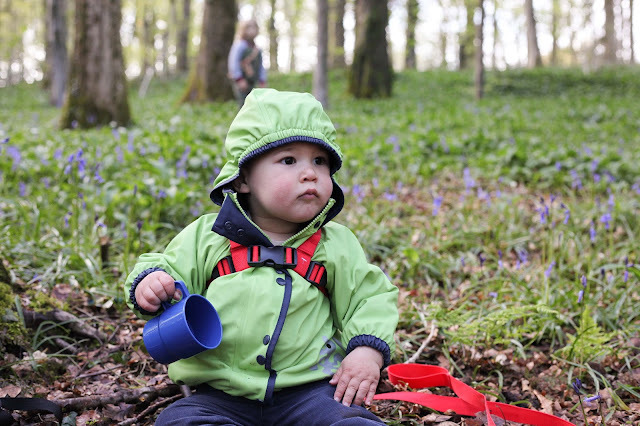 Being in nature can be a very grounding, calming and soothing experience which is particularly good for children that often get overstimulated - nature's playground is the ideal place to wear them out whilst also providing comfort and warmth, by being wrapped up in a tent together. That said, camping isn’t for everyone, and some people require a little more luxury in life than sleeping under a sheet of canvas on a blow up bed, this is particularly true of families that are used to living in beautiful modern homes such as those offered by Prospect Homes, though, camping doesn’t have to be uncomfortable nowadays, indeed, the trend of glamping offers a much more glamorous alternative to traditional camping, which enables a “plug and play” situation akin to buying a new home, as things are already set-up for you. This means, there’s no need to bring equipment, as it’s more like staying in a hotel - and there’s no faffing around with tent poles or pegs. 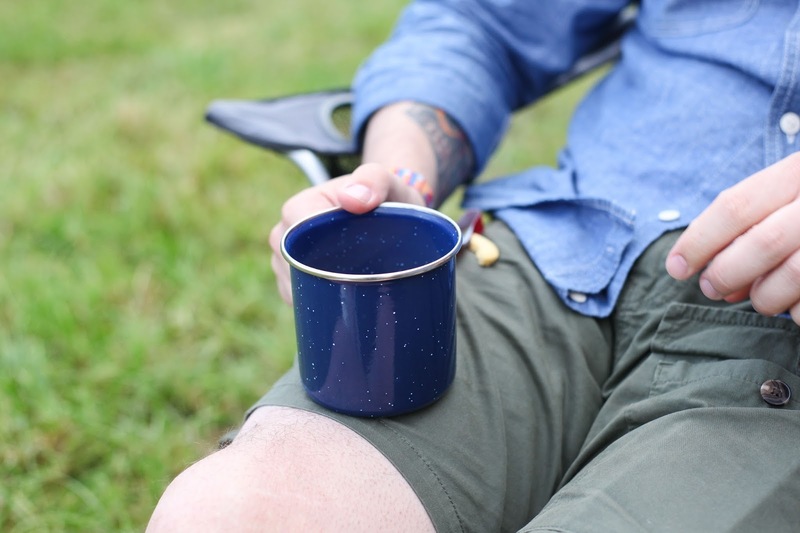 Indeed, if comfort and an easier life is what you’re looking for, the idea of glamping with its modern and somewhat luxurious facilities can be a great option. Now, let’s take a look at some destination inspiration from around the world. New Zealand is pretty much as far from the UK as you could wish to go, yet summer is coming, and with such incredible landscapes with the rugged region of the South Island, known for being one of the world’s greatest outdoor playgrounds, it might just be worth the trip! Oh, and it’s also where you’ll find the best spots for stargazing in the world. Make sure you pack the essentials and waterproofs of course. This region of Northwest Spain with nearby highlights including the Picos de Europas and Camino de Santiago, contains several unspoilt villages scattered throughout lush mountains, a craggy coastline, and traditional fishing communities - making it a truly authentic place to visit, particularly when compared to the South of Spain. You’ll need a car, for sure, and it will help if you can speak a bit of Spanish, as the North is quite a traditional community that feels somewhat cut off from the rest of Spain, in this sense, as whilst it is welcoming to tourists, it’s not a tourist hotspot - meaning life remains very much “local”. There are too many cool places to camp in Cornwall to mention. You can’t go wrong with heading to St Ives, as this is one of the most family friendly spots to base yourself - with a beautiful harbour, cobbled streets and a vibrant yet relaxed nightlife with many open mic nights or acoustic entertainers scattered around the quaint lanes. Then, there’s the coast just North of Newquay which is home to the Bedruthan Steps. These awe inspiring cliffs, with clear blue waters and soft white sand, are the pinnacle of Cornish beauty - and the drive between Newquay to Padstow highlights some of the UK’s most impressive coastal views. Bedruthan Steps itself, is owned by the National Trust (meaning you can’t camp there) but there are plenty of places nearby to set up your tent; though it’s recommended to bring a torch if you’re camping on the cliffs, as there are no barriers, meaning walking around at night could be very hazardous indeed. The Cairngorms National Park is home to a cluster of mountains of which many are over 4000 feet in height. In terms of family friendliness, this place is more for the intrepid explorer that has a little more equipment than most families would - as it’s a mecca for climbers and more serious hikers.. The Brecon Beacons are where a number of elite military forces, including the Gurkhas and Royal Marines complete their wilderness training. This might not sound ideal for the family, yet, just think how exciting it would be for a child to know he’s camping out in the same place the army do. If you fly into Milan, and hire a car, in just an hour’s drive you will find Lake Garda and Lake Como. 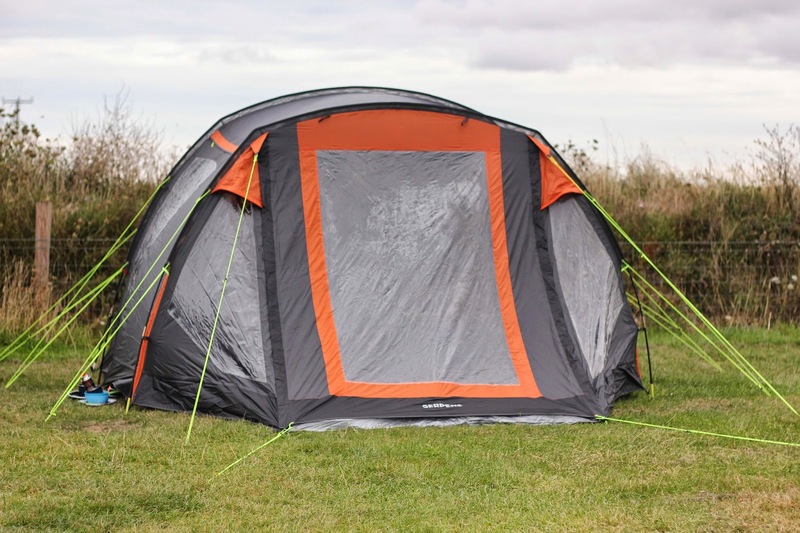 Similar in nature to the Lake District in the UK, the Italian Lakes offer a slightly warmer climate that means you can take your family camping here well into the autumn months. There are tons of activities to participate in, such as via ferrata and paragliding, neither of which are particularly expensive - or you could simply indulge in some of the best food in the world at one of the many Michelin starred restaurants, or create your own feast by having an authentic picnic with top local produce. I always feel I am very aware of trying to get outdoors as much as possible in the Autumn before that finger biting cold sets in and it's become our favourite month for being active. There is no reason to not have an adventure, go hiking and picnic on top of a local mountain, or try a zipline course, go paddleboarding or take up a new hobby together as a family like cycling. Autumn is really what you make of it and it's a great season to try something new. 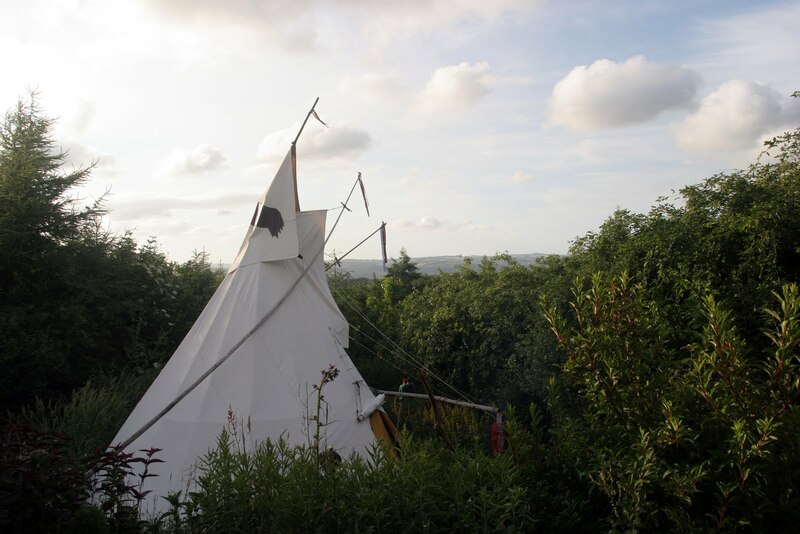 Next month I'm going to Cornwall for a holiday, in our caravan, so, we're camping. Lovely to see if features in your list. It will be our first time in Cornwall, so I'm very excited about this. I really want to go camping again next year, would love to try Cornwall or Scotland! Oh my! I'd love to tick all these off my list one day! So many lovely options. I think my kids might quite enjoy camping. I love the idea of waking up and timing in a loch... wow, I bet that was amazing! A morning swim in the loch sounds like an amazingly refreshing way to wake yourself up, I'm rather jealous.